and shadow. At least eighty percent were those who dug in their heels, sat or leaned or stood in silence listening to literary greats in authors, critics, poets, artists, filmmakers and even chefs in rapt attention. Surely, they could be credited with literary leanings unlike other festivals where ‘mela’ fun rules the roost. Fashionistas too sashayed in catwalks. However, the chill in Jaipur brought out Kashmiri Pashmina shawls in all their glamour. If ‘Lulu’s’ trumpeted their pizzas and fast food, the official fare was lavish with free flowing wines, liquors and live preparations besides a touch of Rajasthan with lentils and Bajra soups served in earthenware kujjas. Kashmir hogged the limelight on more than one occasion. It came bright, sprightly and serene with Brigid Keenan’s ‘Travels in Kashmir’ and Sangeeta Gupta’s ‘Ladakh–Knowing the Unknown’. However, ‘Haider – the Shakespearean Hamlet’ threw it into conflict the umpteenth time much like the stark gashes of rough mountains of the restive state. 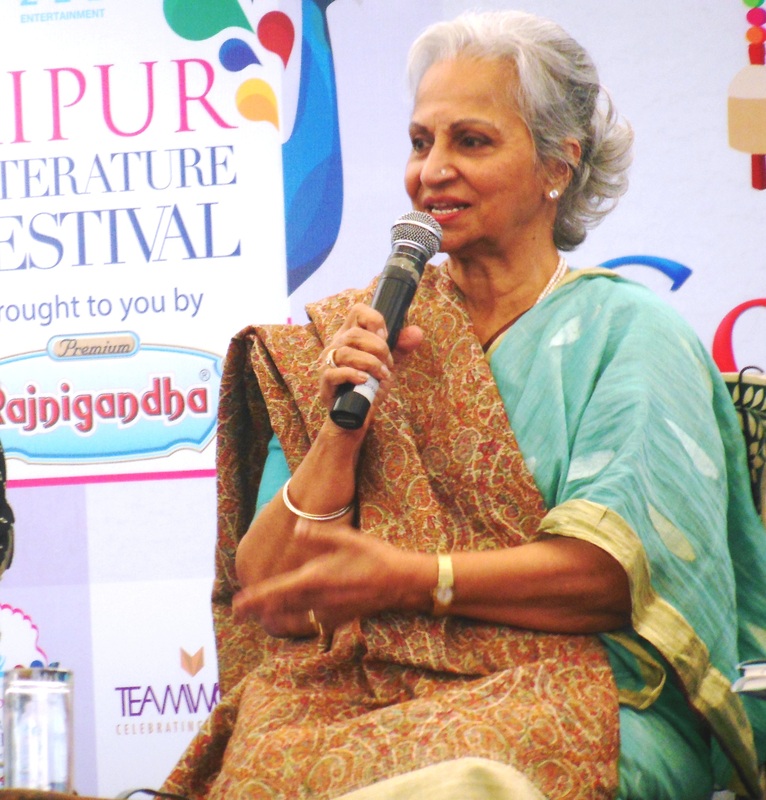 The five-day scents of the written word brought yesteryears face of cinema Waheeda Rehman, poised and graceful in her graying years, telling her story. Naseeruddin Shah was candid about his account in his book ‘And Then One Day..’ Salima Hashmi, a noted artist and daughter of famed Pakistani poet Faiz Ahmed ‘Faiz’, spoke passionately on ‘Contemporary Pakistani Art’. She was equally at ease as they discussed their father’s huge repertoire of poetry with Salima and Shabana Azmi on ‘Faiz and Kaifi-A poetic legacy’. Amritsar’s Vikas Khanna opened his masala box of recipes in ‘Masterchef India’. “The spirit of Indian Painting” by B N Goswamy, an eminent art critic, lovingly explained the color strokes, their forms to a mix of discerning and art loving audience. Haider – A film based on the Shakespearean Hamlet, set in Kashmir in the turbulent Nineties, loved and loathed, touched most of the bane of Kashmir, from half-widows to mass graves, AFSPA to UN resolutions, elections to collaborators. 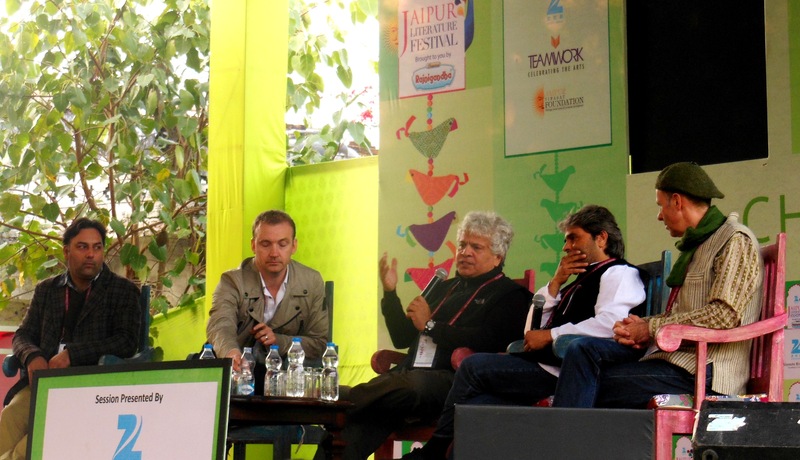 It came across as a stark, cold and an acid expose on Kashmir, and found echo in outpourings directed at Basharat Peer, the co-script writer and Vishal Bhardwaj, the director, in the session “Hamlet’s Dilemma’ chaired by Suhel Seth a noted columnist and actor at the Festival. personal choice as per his story narration, although he admitted that the Pandit tragedy was no lesser a tragedy! In other words “Stubbornness guided my career”, said Waheeda. 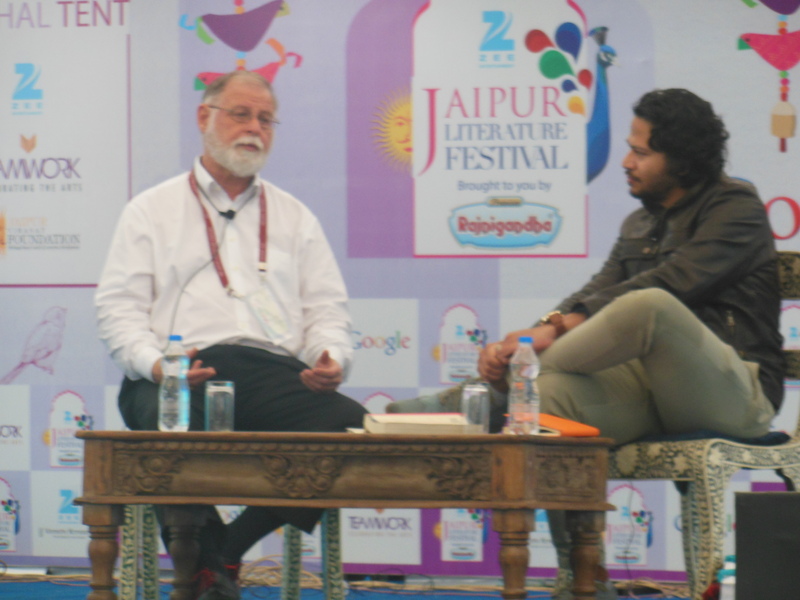 Alberto Manguel, author of “A History of Reading”, ticked off popular writer Paulo Coelho not once but twice during his stage discussion titled ‘Library at Night’. A personal library offers a portrait of a person, he joked. Old or ill, Naipaul hadn’t lost his sense of wit. “I don’t like to talk about sunsets,” he told Dhondy who suggested, by way of opening line, that they pretend they were sitting in their homes in England, sipping wine and looking at the birds at sunset. “It can be used against me to infer that I am in the sunset of my life. 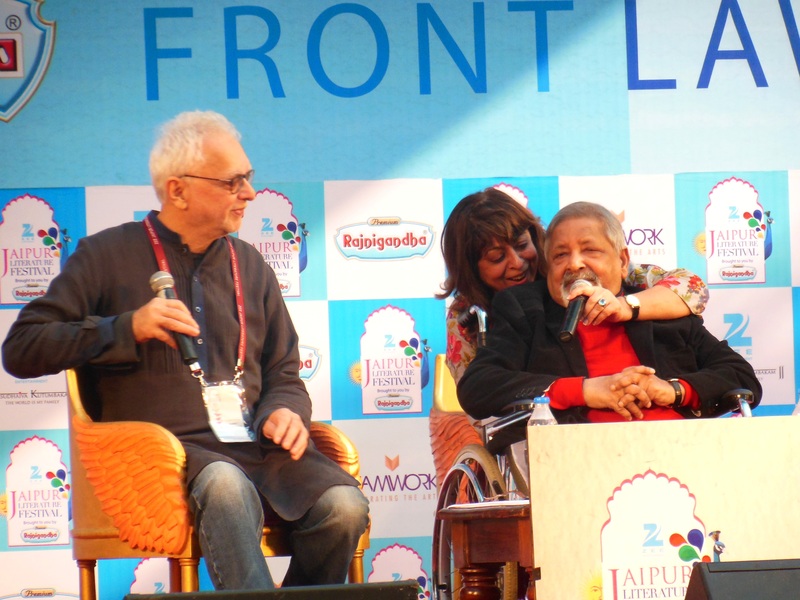 Unhappy metaphor,” Naipaul replied, much to the amusement of a packed house at the Front Lawns of Diggi Palace. India, a subject on which Naipaul has written three books – An Area of Darkness (1964), India: A Wounded Civilization (1977) and India: A Million Mutinies Now (1990) also figured prominently in the discussion. The entire Trilogy was controversial. Writing, he claimed, was as “hard for me as it is for most people in the audience”. His writing and success was a “great bit of luck”, he said. For the first book he wrote, he was told by a critic-“to give it up and do something else. The only reason I stuck to writing was my inordinate confidence and faith in my talent. I felt that if I didn’t stay true to my talent that would be the end of me”. 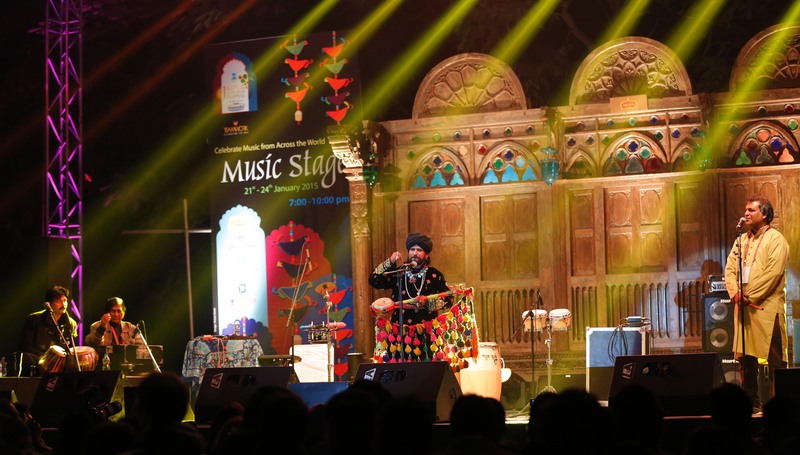 • Festival had only two drawbacks — Free spot registration, led to crowd management issues. The second was the venue had one of the worst telecom networks. However most Media persons who availed their personal wifi passwords at the press terrace, posted dozens of selfies on social networking sites promptly. Bhagat’s ‘Half Girlfriend’, Sachin Tendulkar’s Autobiography –“Playing it my way”, Naseeruddin Shah’s –“And Then One Day” received a big thumbs up by the book lovers.